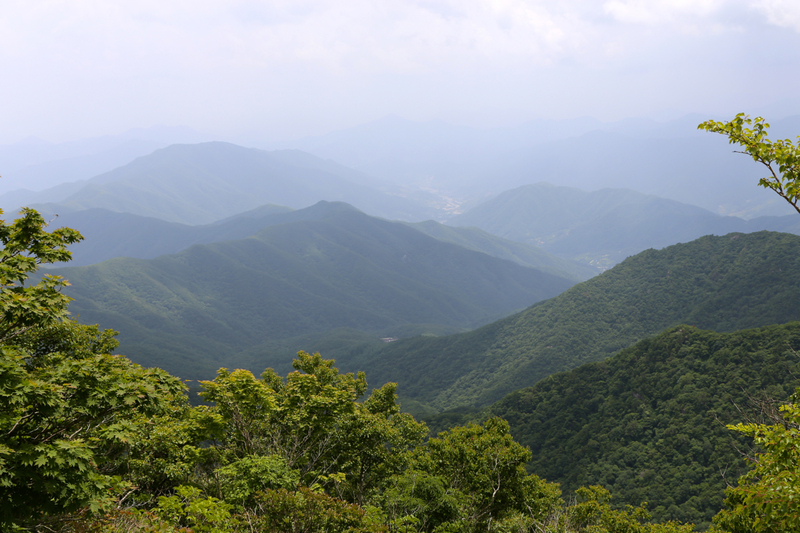 Fly to Jinju, the airport is south of the city and named Sacheon. From Sacheon, travel north on Hwy. 3, alternatively on road 35 (expressway). Exit onto Hwy. 20 and go west (left) on this road. 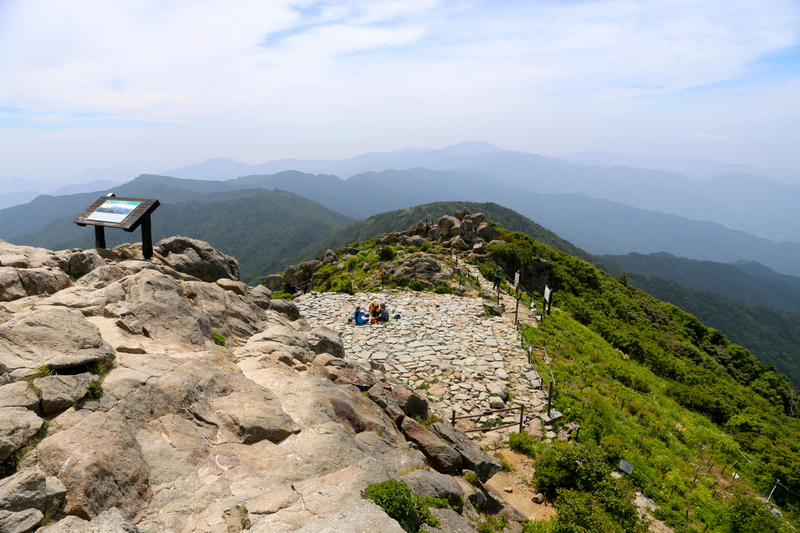 In order to reach the trailhead with the shortest trail to the summit, follow signs for Jirisan Mountain. I chose a different trailhead. In order to reach this, follow Hwy. 20 through a small, but busy town, drive across a bridge then immediaely turn right onto Hwy. 59. Continue north on Hwy. 59 approximately 7.2 kilometer. Next, turnn left on the road that clearly serves a valley going west. The location of this intersection is N35.34122, East 127.83932. Drive this road about 9 kilometer to near its end (paved all the way, but narrow in places). There is (obvious) parking on the left side. This location is at N35.37242, E127.76908, elevation about 705 meter. 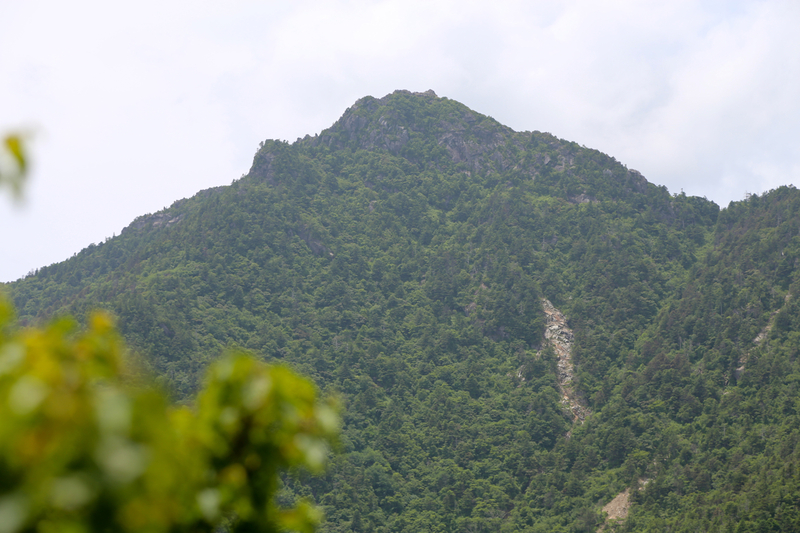 Here is a summary of climbs from this trip in the summer of 2015. Note that this route is not the easiest (shortest) to the summit. 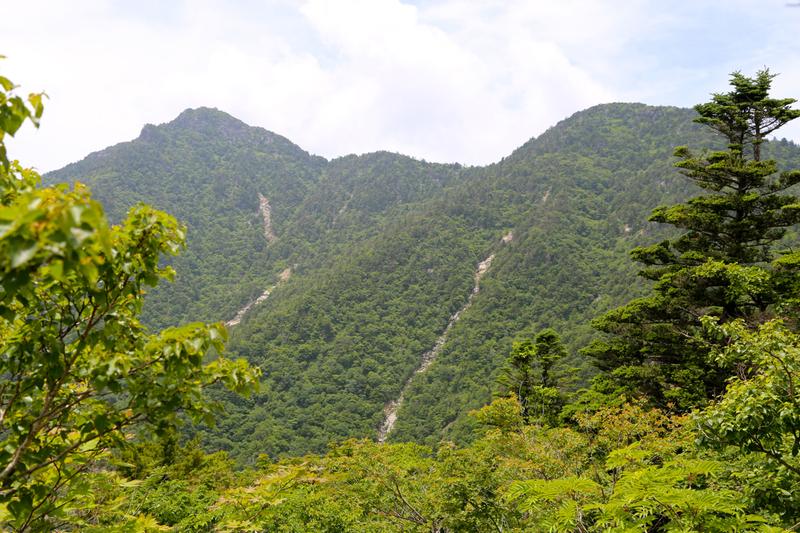 It is, however, a very nice hike that requires a full day (18 kilometer, 1600 meter of vertical gain) for strong hikers. 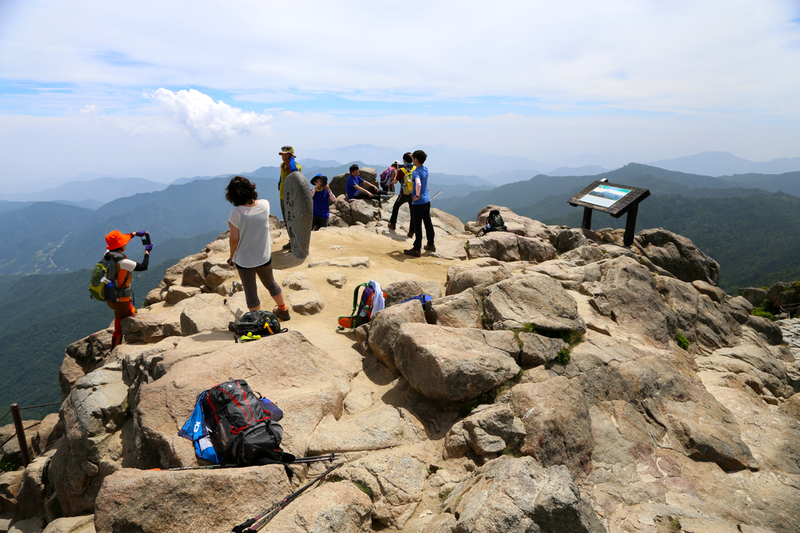 There is a shelter on this route, the trip can therefore also be split into two days. The trail starts out (sign posted) at the end of the parking going directly left, ie. do not follow the road that continues uphill. Contouring the hill, you immediately reach a nice suspension bridge crossing the main river. The trail now continues uphill, nicely made with stones and wooden steps. The trail generally keeps this high standard for the first 3 kilometer, where there is a trail fork. Go right here (sign posted). From this point, the trail gets a bit rougher often quite rocky. There are several nicely built (smaller) bridges as well as some sections with stairs. 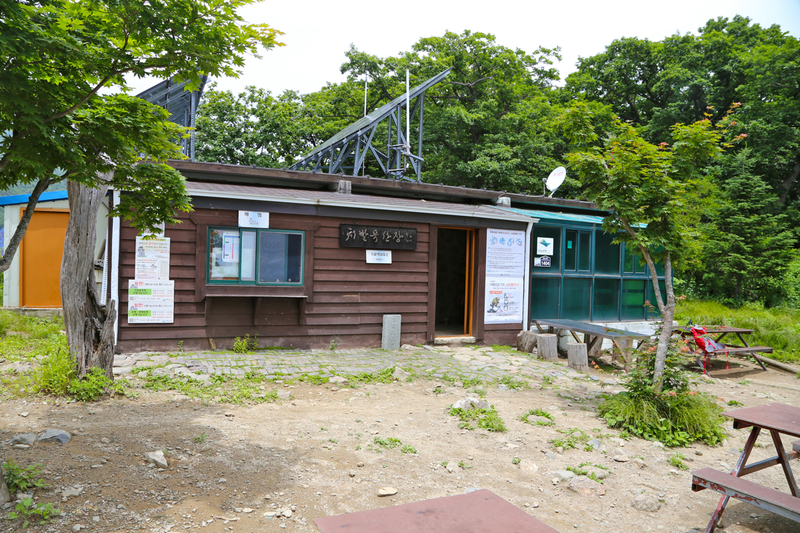 You subsequently will reach the shelter, a pretty big hut with solar panels on the roof. 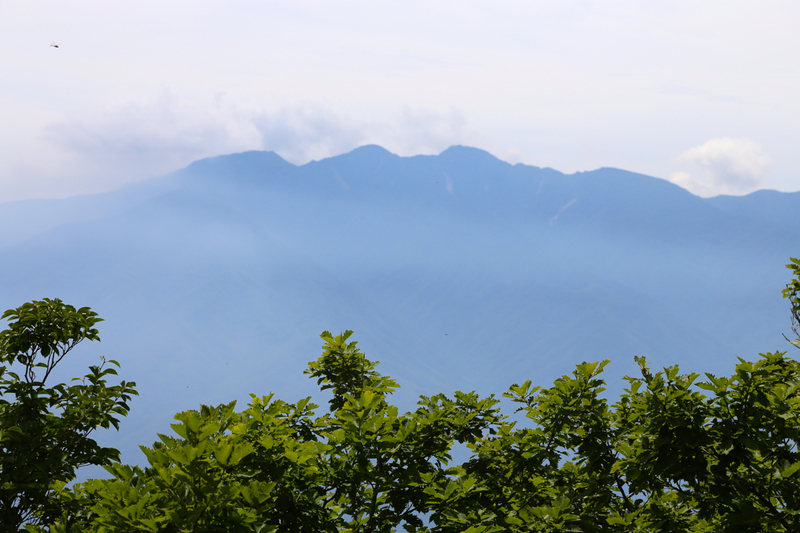 The shelter is located at N35.34859, E127.75063, elevation about 1420 meter. There are several places along this section where you may collect drinking water. Get water for the last part of the hike at the shelter. The trail continues left here. The route now climbs a pretty long, but very nice ridge that may be followed all the way to the summit. Part of this ridge is more rugged, but here staircases are in place going both up and down across local humps. From this area, you will see the main summit ahead and somewhat left, also observing its subsidiary summit (right) that must be traversed. 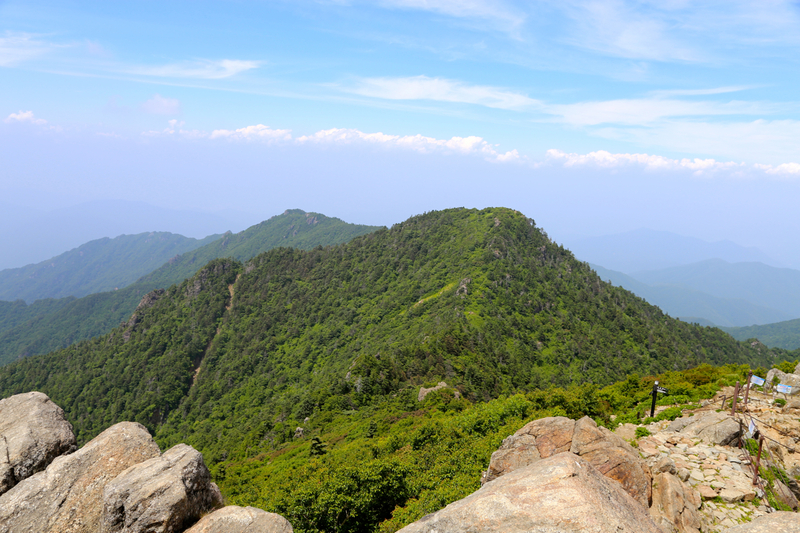 This peak, Jung-bong has prominence of 65 meter and provides a fine view of Cheonwangbong across the connecting saddle. The summit has a nice official marker with slightly higher rocks at both ends of a short, but pretty wide ridge. I travelled from Haneda airport (Tokyo) the day before. arriving after dark in Sacheon, it turned out that the local taxi drivers did not know the location of my hotel, Zzam located pretty nearby. 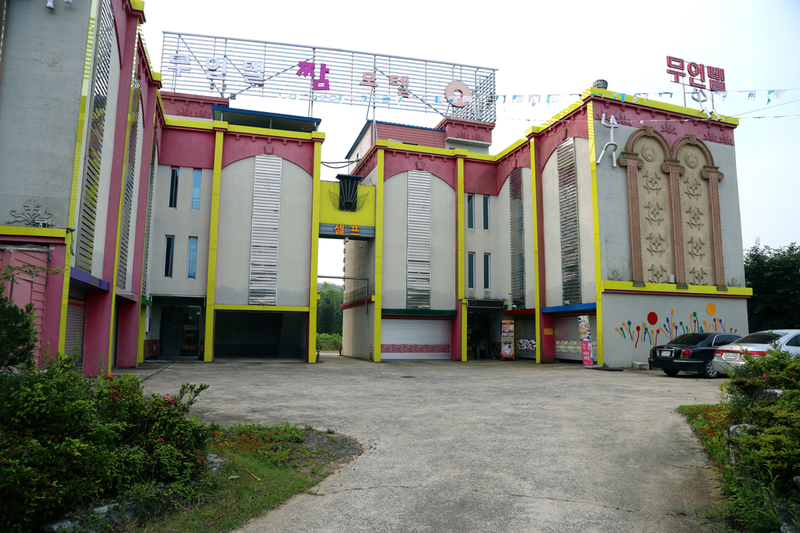 Not a single word of English spoken, we sorted things out and I arrived at a rather strange motel. Nobody expected me and they had no other guests. My reservation was through Booking.com. Again, monumental language problems, but how hard can it be to understand what a person with luggage arriving at a hotel needs? I finally got a nice room on the third floor. Next morning, a taxi back to the airport where my rental car was now waiting, they closed early in the evening preventing me from getting the car on arrival. The lady at the tourist information counter in the airport (actually spoke a few words of English!) told me where to drive and gave me a rough map of the area. 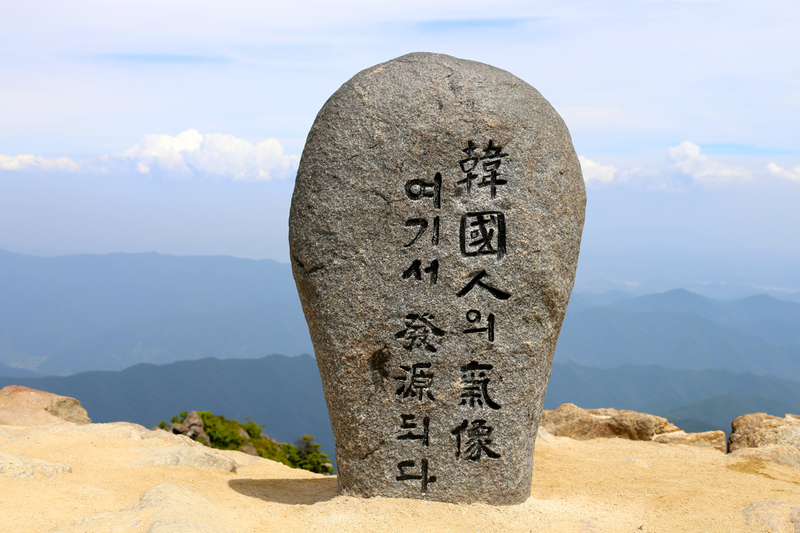 Following this guidance led me to my trailhead, I realized a bit late, that if I had followed road signs for Jirisan mountain instead then a different trailhead would have been found. The local signs said 8.8 kilometer, I figured this would still be a quite reasonable, full day hike. I left my car at 1035 and arrived at the shelter after about 1.5 hours. I took a 10 minute break there in order to look around. As it turns out, this shelter is about half way in times of hiking time. I continued along the ridge and made the subsidiary summit 3 hours after leaving the car, then the main summit at 1355. Quite a few people on top, most of them arriving from the other trailhead. I walked around a bit, drank my water bottle and enjoyed the view. Leaving at 1415, I made a brief stop at the shelter to fill my water bottle, arriving back at my car by 1725. Thus, almost 7 hours when all stops are included. I was actually quite tired, 18 kilometer and about 1600 vertical meter had indeed left its mark. I did not really feel much for driving and looking for possible hotels. Thus, I rather walked uphill the few meter of road that remained and asked some locals if there were any possibility to sleep and eat right here. They pointed to the house at the very end, I walked upthere and asked using only sign language. 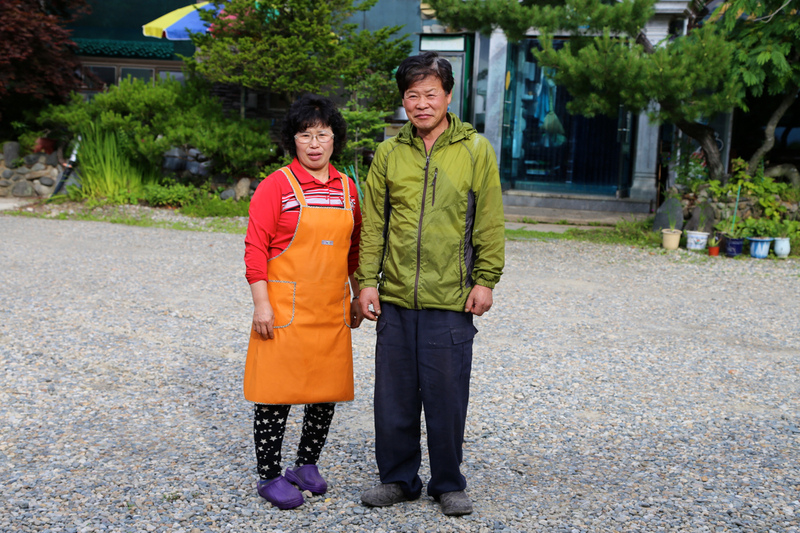 Immediate luck, they were positive to serving dinner and providing accommodatio. 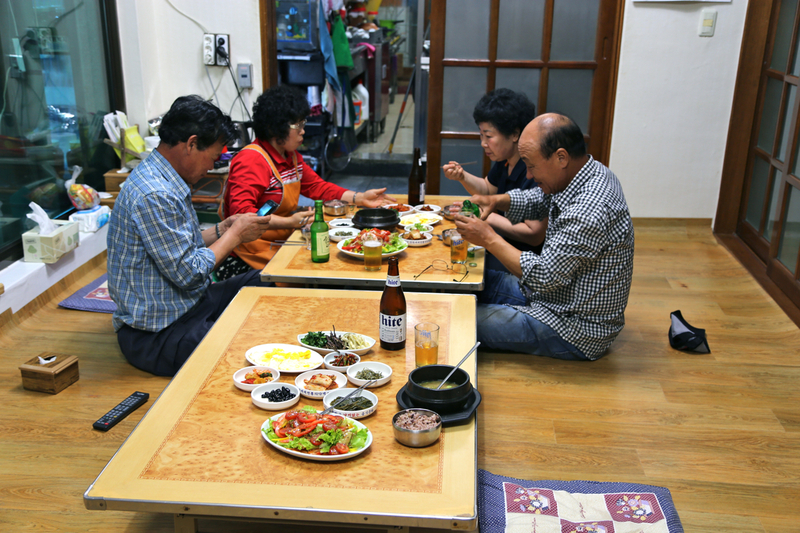 Shortly, I was seated for a Korean family style dinner. They served me food on 13 different plates, way too much, but all quite tasty. A large bottle of pale ale did wonders. At 2000 it started to get dark and by 2015 it seemed ok to thank for all good food and hospitality. We agreed on breakfast around 0700. After a big breakfast, I departed while the owners waved goodbye. 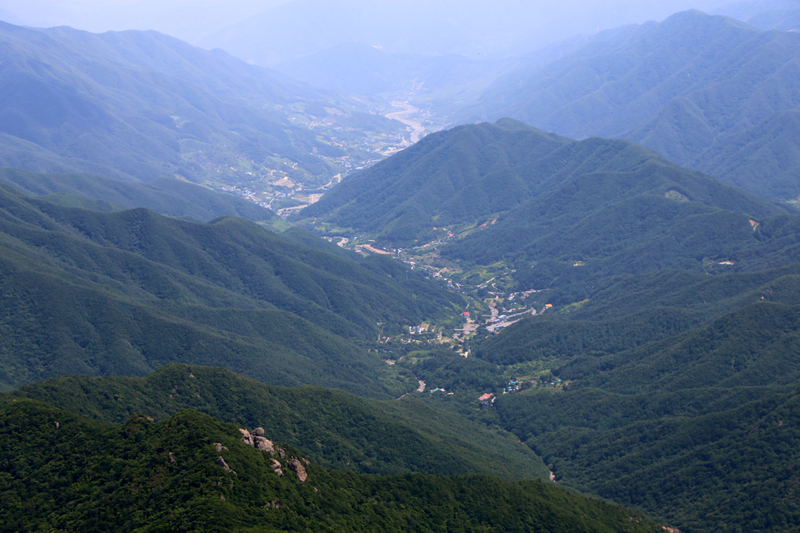 Jirisan as seen from Sambong.